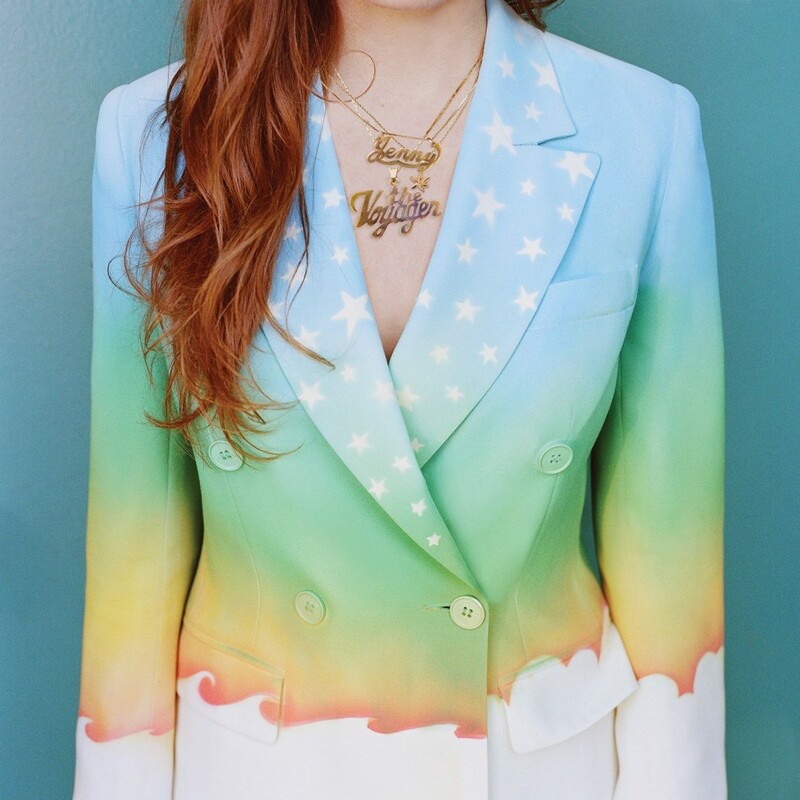 Fire Note Says: After six years in the wilderness, The Voyager heralds the resurrection of all things Jenny Lewis. Album Review: Since 2002’s masterful The Execution of All Things – an album which should be handed to girls as they turn thirteen, just as all boys should receive Violent Femmes’ debut – Jenny Lewis has promised a lot but rarely delivered. Her two solo forays, Rabbit Fur Coat and Acid Tongue, were impressive genre exercises in country, but her nadir was Rilo Kiley’s final album, Under the Blacklight, which sounded like what it was – a band who could barely stand each other, reluctant returning to the studio to fullfil a major label contract. Sure, it prefigured the soft-rockin’ likes of Haim, but there was no joy in Blacklight’s grooves. That its best song had the refrain “It feels good to be free” was telling. Six years in the making, The Voyager sounds like Under the Blacklight done right. Rather than pander to a mass audience that stopped existing around the time Rumours stopped being cool the first time around, Lewis’s third solo effort is an hyper-commercial pop music – produced within an inch of its life by Ryan Adams, Beck and Jonathan Rice – that never sounds formulaic. “Slippery Slopes”, a paean to trying to stay faithful as a touring musician, even half-inches the melody from Blacklight’s title track, but gives it the room to breathe it always needed, wrapping it around a mass of gauzy guitars. Sure, there are moments that veer a little too close to adult contemporary nothingness. From their titles alone, you can tell that “She’s Not Me” and “The New You” are going to be about as edgy as a satsuma, but they keep good enough company for it not to matter too much. And sure, “Just One of the Guys” may be undermined by its “look at all my celebrity friends!” video – simple formula: pretty good indie rock song + Kristen Stewart appearance in video = instant viral hit. But the smirk in Lewis’s voice as she bemoans her state as “just another lady without a baby” is audible enough to suggest that she doesn’t want a hug when the song’s over. It’s “Love U Forever” that provides the album’s biggest kick; like “Just One of the Guys,” it deals with age in a way that few songs do, a call to arms for getting the gang back together one last time to “reminisce and get a little high,” before it gets pathetic. It’s also a rampant power-pop classic in waiting, littered with high-impact hooks in a way that never sounds calculated. And that’s The Voyager’s biggest triumph – for an album that was inspired by insomnia, not a second of it sounds tired. For an album that’s been worked on for six years, it sounds effortless. The Fire Note started as a blog on April 10, 2006. Its purpose was to create a simple place that could showcase records that we liked. Nothing more, nothing less. The focus has always been about the album and the experience that a great record creates. The Fire Note Webzine builds on this idea by offering an array of content that is all about the enjoyment of music, its pulse and energizing attitude.